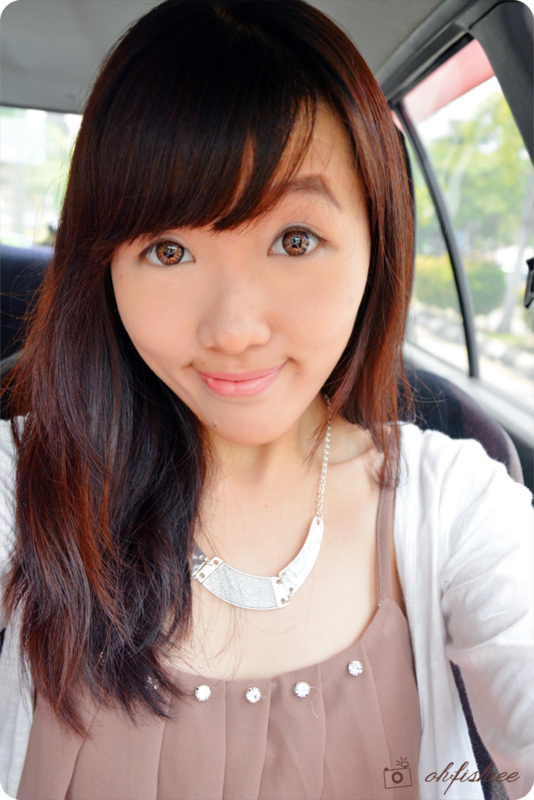 Do you remember that I have once blogged about Mr Lens Affliate Partner program? 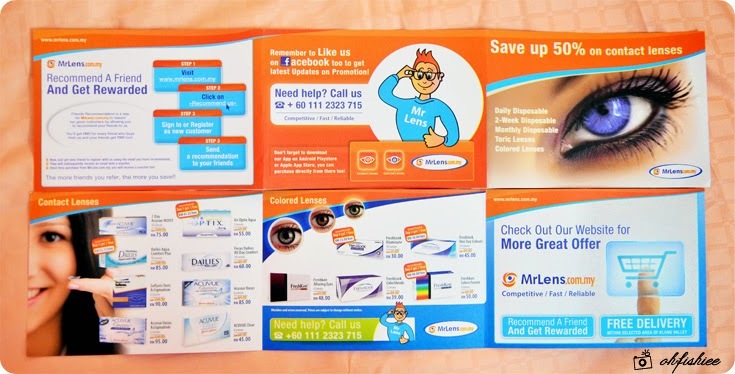 If you haven't heard of it, Mr Lens is an online shopper paradise if you're into contact lenses and eye wears. 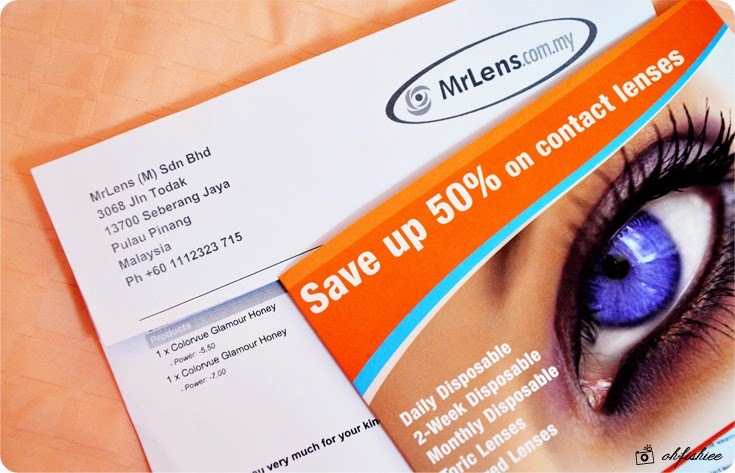 Well, I seldom shop for contact lenses online, but whenever I do I'd only choose Mr Lens because it is a reliable site I've been purchasing since 1 year ago... 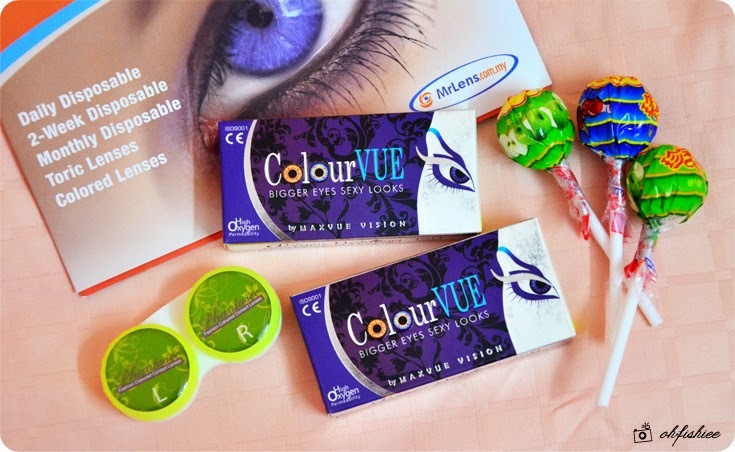 Recently Mr Lens is having big sales on various brands, so I decided to get myself two boxes of ColorVUE 3-month disposable soft coloured contact lens before the promo ends! I made my order at night, and didn't expect that the order was delivered on the very next day! Kudos to the speedy delivery, the parcel came all the way from Penang and it took only 1 day. Apart from the boxes of lenses I ordered, there were also some brochures, lollipops and a lens case. 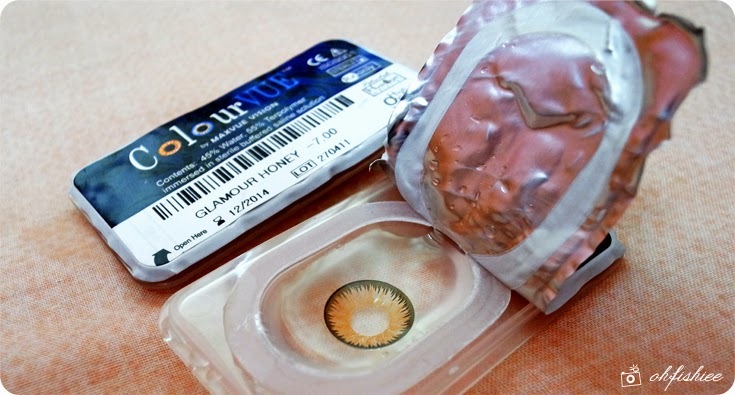 ColourVUE (www.colourvue-lens.com) is one of the high quality lens made of hydrogel material that is highly permeable by oxygen. 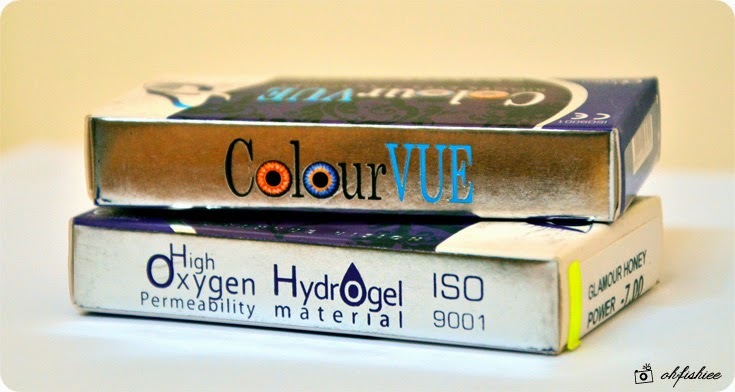 Each box contains 2 soft contact lenses, in 45% water and 55% terpolymer immersed in sterile buffered saline solution. Made in Korea using Perfect Blends Colour Techonology. Meets ISO 9001. For the Glamour series, it comes in 3 colours: Grey, Violet and Honey. 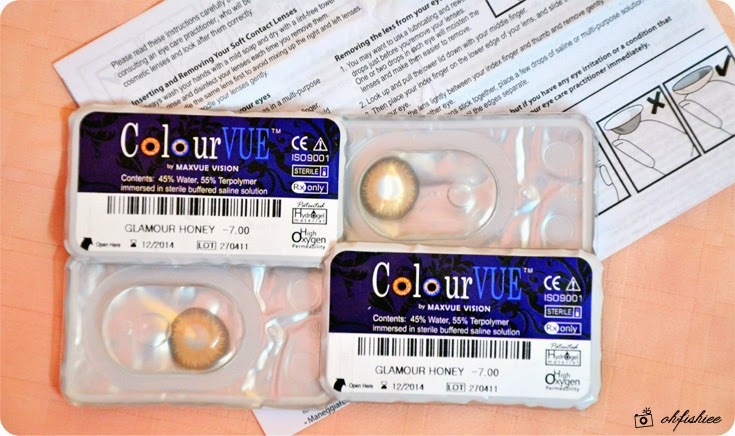 And I picked Honey because I got bored with the usual grey and violet colored lens I bought for everyday wears, now let's go for something extraordinary! 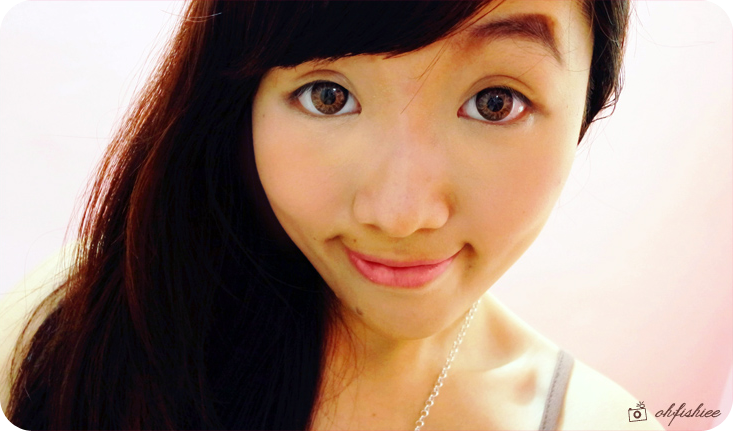 Under daylight condition, the eyes kinda glow :) And I love the cheerful look it creates, despite of the minimal makeup I put on that day. On top of that, I find it comfortable to wear for up to 10 hours, but here's a gentle reminder for you, don't wear longer than that, for the best health of the eyes. 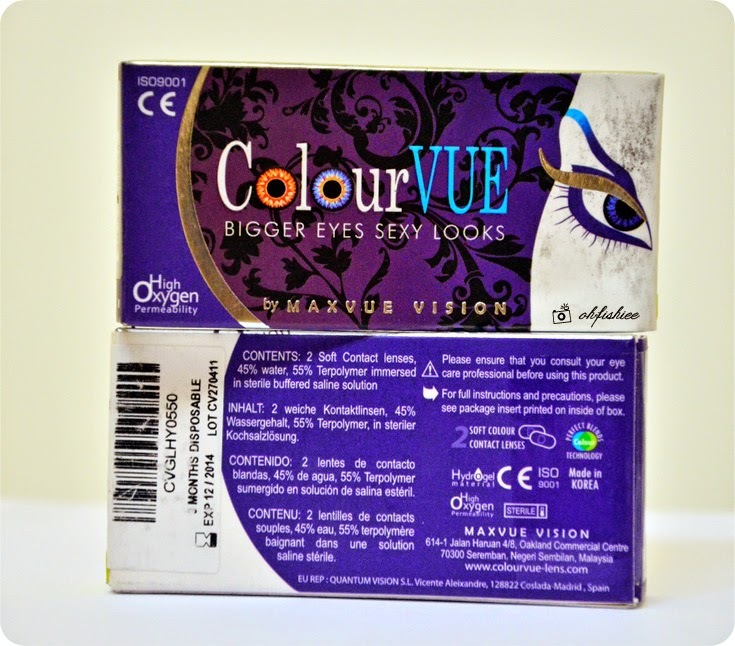 Air Optix, Bausch & Lomb, Ciba Vision, FreshKon, FreshLook and lots more!